For the 79th time in the 80-year history of the NCAA men's basketball tournament, a No. 16 seed did not beat a No. 1 seed. But dang it, a few underdogs made things interesting. North Carolina, Virginia, Duke and Gonzaga all advanced to the round of 32, but only one of those teams had that outcome assured almost immediately. The final 16-vs.-1 game of the tournament gave us the most intrigue, as North Carolina trailed at halftime and didn't stake a double-digit lead until there was 13 minutes remaining in the game. Iona was on fire from deep in the first half, to the point that it was unlikely the Gaels would be able to sustain that pace in the second half. The Tar Heels found their shot in the second half, and made sure the Gaels couldn't find theirs. Virginia had some obvious demons to overcome, and looked haunted to start the game. But after Gardner-Webb got out to a 14-point lead early, Virginia rediscovered what made the Cavaliers great in the regular season. DeAndre Hunter, who missed last year's 1-vs.-16 game, led UVA with 23 points, 17 of which came in the second half. They turned things around and won by double digits, but still gave everyone a good scare. No. 16 North Dakota State vs. No. 1 Duke: Zion to the rescue! 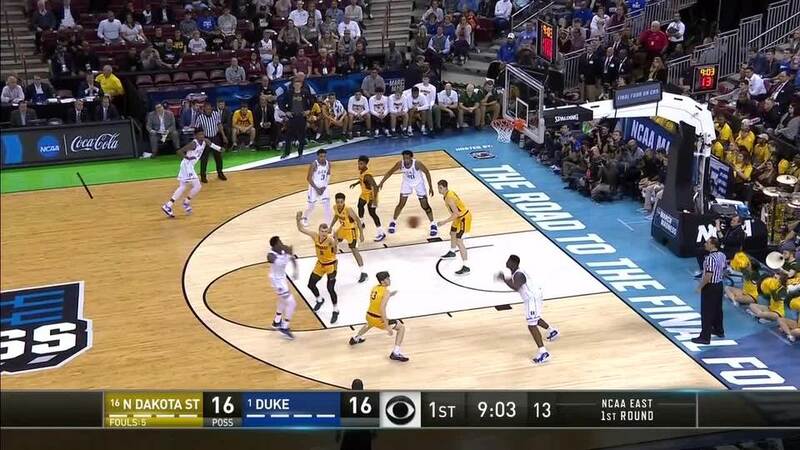 Duke, the team that captured the world's attention this season, going down would have been an even bigger upset than UMBC's win over Virginia last season. And at halftime, NDSU made sure we couldn't rule out the idea of the Blue Devils going down. No. 16 Fairleigh Dickinson vs. No. 16 Gonzaga: Welp! This one was Gonzaga from the get-go. The 36-point halftime deficit afforded the Zags a whole lot of leeway in the second half, and they didn't need any of it. And that's probably all we need to say about that.